We hear a lot of negative news about labor unions. David Zonderman, professor of history at North Carolina State University, discusses how labor unions came to flourish and whether they should play an important part of our future. Dr. Zonderman received his BA from Amherst College, and his MA and PhD from Yale University. He is the author of two books–Aspirations and Anxieties: New England Workers and the Mechanized Factory System, 1815-1850 (Oxford University Press); and Uneasy Allies: Working For Labor Reform in Nineteenth-Century Boston (University of Massachusetts Press). He is currently working on another book project, Fighting on the Homefront: Workers and the Civil War, which is under contract with Praeger. 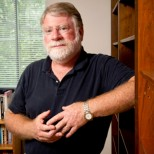 He has also published articles and reviews in the American Historical Review, Journal of American History, Reviews in American History, Labor History, and The Public Historian. Dr. Zonderman’s research has been funded by the American Council of Learned Societies, American Historical Association, American Philosophical Society, National Endowment for the Humanities, and other institutions. Economic inequality and the collapse of the middle class are often in the news; and politicians of every stripe claim they want to help Americans find good jobs and lift themselves out of poverty. Some say we should cut taxes and regulations; others recommend an increase in the minimum wage, or a jobs program rebuilding our crumbling infrastructure. What rarely gets mentioned today is an institution that has fought over more than a century for higher wages and safer working conditions—labor unions. We should reflect on the historical and economic evidence of how unions actually did lift millions of working women and men out of poverty, and how recent attacks on organized labor are linked to growing inequality. The United States had the most sustained economic growth, widely shared prosperity, and significant decline in inequality from the end of World War Two up to the Energy Crisis of 1973. In those nearly three decades, our nation also had a vibrant labor movement—one third of all non-agricultural workers belonged to unions. Then when our national struggled with “stagflation” in the 1970s and growing competition from overseas, we decided that unions were a problem and we needed to break the organizations and drive wages down. Today, barely ten percent of workers are organized; our economy has seen its worst crisis since the Great Depression, and our levels of inequality are back to the 1920s if not the Gilded Age of the 1880s. The correlation between a strong labor movement, sustained economic growth, and widely shared prosperity is no mere coincidence. Unions bargain for higher wages so that rising profits do not all go back into the bosses’ pockets. Given that seventy per cent of our economy is consumer spending, it benefits us all when worker-consumers make a living wage. On New York Institute of Technology Week: Uninsured E.R. visits are costly for hospitals. Any Questions #399: "National Anthems"